One of the delights of writing, it seems to me, isn’t about publication and sales and all that jazz—though of course those are hugely, hugely, delightful things that make it all worthwhile. What I mean is there are other things that, to quote my favourite teacher, ‘bewitch the mind and ensnare the senses’ and that can be ranked right up there as one of the rewards of a writer’s life. Oh, I know. A lot of people sigh, gird up their loins, and plug at it as a job that has to be got through to give them enough understanding to get on with the story they want to write. Often I’m like that, too. I need to know what gunmakers other than Colt were active in the American West, just for a passing reference? Cool. Do that, drop the reference in (He hesitated over a neat .44 Smith and Wesson he hadn’t seen before—a new model, called the Russian, said Zimmermann—but put the other Smith and Wesson pistols and the Remingtons to one side. The Le Mat wasn’t worth looking at.) and move briskly on. Same with racehorses and riders in the 1899 Boxing Day races at Kempton Park: look ‘em up, drop them in, congratulate yourself on adding ‘merely corroborative detail, intended to give artistic verisimilitude to an otherwise bald and unconvincing narrative’. But now and again, you come across an article, a reference, a thing that is so thoroughly delightful that your day is brighter just for knowing it. When I was writing Gilded Scarab (and as an aside, don’t you *hate* the waiting period while the publisher is looking at it and hasn’t yet given you either an offer or a ‘bugger-off-Anna’ response? ), one of the absolute joys was the Ordnance Survey Map of London of 1893-6, which superimposes over the modern map and works in much the same way as Google Maps does. I spent hours and hours over that, working out Rafe’s route to Daniel’s rooms in Kings Cross, for example, or Ned’s route from Belgravia to the British Museum. I was gobsmacked to find that Coptic Street was known as Duke Street then. Who knew? Making that change to my draft made me feel rather… smug. Historically accurate, and smug. 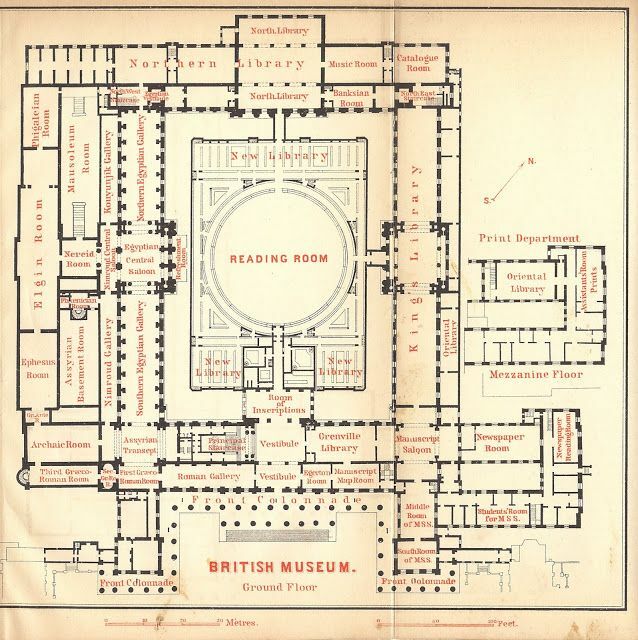 This too, was a great find: the 1894 plan of the British Museum. Very useful for plotting out my hero’s route through to the basements in a power-cut, to rescue Ned from the baddies. They tried to merge cricket and tennis. Let me repeat that: they tried to merge cricket and tennis. They had the bowler (server? Pitcher, for my US friends) deliver the ball by serving it with a tennis racquet. 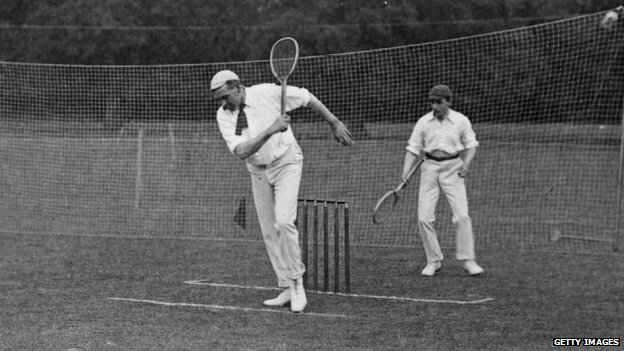 He served the ball to the batsman using a tennis racquet. The sheer WTFery of that is… well, using that overused adjective-du-jour, delightful. 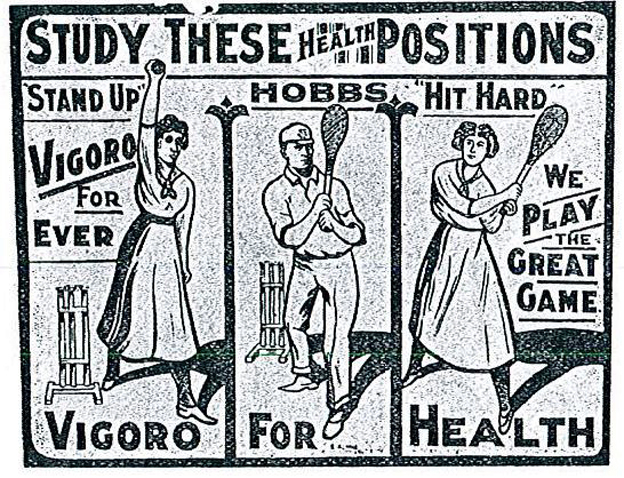 I want to go and see a game of Vigoro, dammit! I wanna go and see it. The best I can do is make sure I use it somewhere. I’m going to have to cheat a bit and bring it forward to 1900 (1902 is a little late for my story) but I swear by all that is holy that if I can’t go to see a game of Vigoro, Rafe and Ned ruddy well will. And they will cheer and clap and be entranced. Just the way I am. And on another note, the first Shield book, Gyrfalcon, is likely to be published on a Wednesday in January next year. I don’t know which Wednesday, but still. A Wednesday. I love Wednesdays. Oh my goodness, that website looks like so much fun! I tend to get bogged down in the details sometimes; exactly what foods they would eat, how they would be prepared, etc. But I love doing research! As a matter of fact, I learned all about my own knee surgery (26 December, 1984) while doing research for the Infamous Novel (1997-1999). As is my wont, I beat the crap out of my poor main character. Vigoro sounds very… odd. lol I can’t quite picture it. I adore researching, really. Every little fact is a gem to be treasured, and I do think that they add depth to our writing. As for your birthday next year, Gyrfalcon will have to be a belated present! I love research. I can spend too much time on it, and yet, in the end I don’t feel like that is wasted time because it all goes to getting the ‘feel’ of the era right. I love finding out what things other people find entrancing, even if I scratch my head and wonder about the appeal. It’s seeing other people get passionate about something that is so very attractive, don’t you think? Absolutely. Even those passing references add depth and richness, give (I hope) a real sense of time and place. As for your ‘I told you so’ , I dreamed last night that the BBC had decided to televise Shield and had agreed to offer the part to Matt Bomer. I was squeeing *very* loudly, I can tell you. IF that every comes to pass – grins! in some alternate universe – you will have to come to London to deliver the I told you so in person!